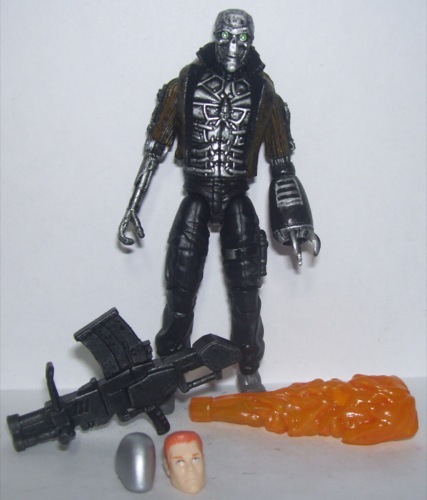 A prototype android trooper created By Dr Mindbender and the best MARS technicians, The A.B.A.T. was originally designed as an infiltration unit. 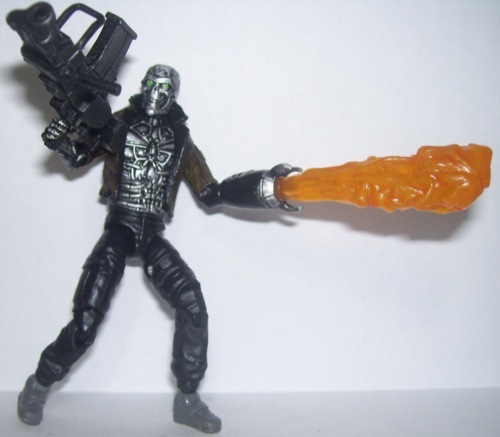 It's purpose was to be able to disguise itself as human in order to steal intelligence from the enemies of Cobra. 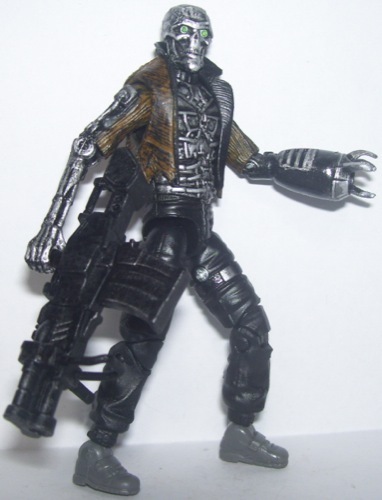 It's super durable titanium combat chassis is supplemented with mimetic poly-alloy (liquid metal), allowing it to morph into any humanoid shape that has either been downloaded into it's database, or has been in physical contact with. An advanced thinking computer gave the A.B.A.T. semi-sentience, and during it's very first tests it disguised itself as a MARS scientist in order to incorporate the Nanomite technology into it's own. Now able to adapt any weapon onto itself, the A.B.A.T. has near limitless combat potential. Shortly after discovering the robot's actions, it was shut down. 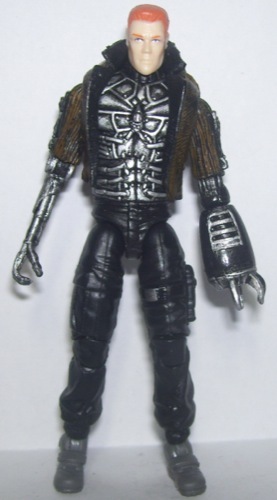 However, unbeknownst to Cobra, the A.B.A.T. is secretly monitoring and downloading highly classified Cobra intel, and plots to wake from it's dormant state and lead a B.A.T. army against humankind as soon as the opportunity presents itself.